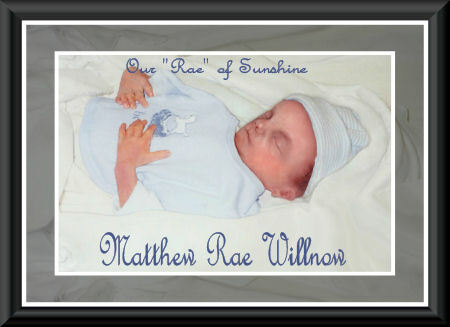 Matthew Rae Willnow-Named after his Daddy and Mommy's middle names. Click on the banner above to vote for our site. Thanks for visiting! !